Rado Miniatures from Poland, owned by talented sculptor Radek Pituch, started to business with two static posed World War II German soldiers and both figures were previously reviewed here in Battlefront Normandy, 12. SS-Pz.Div. “HJ”, Summer 1944. Company lately released two new German figures but this time in dynamic poses. RDM35006 - Under Fire, 5.SS-Pz.Div.Wiking, Poland 1944 includes two soldiers of Wiking Division with standard uniforms and gear, trying to fire a cover or moving to a new location under fire. Note that figures are also sold seperately. As a brief note; this division was formed in December, 1940. Initially, it was called Germania but the title of the unit was changed to Wiking in January, 1941. It was recruited from foreign volunteers in Denmark, Norway, Sweden, Finland, Estonia, the Netherlands and Belgium under the command of German officers. During World War II, the division served mainly on the Eastern Front and surrendered in May 1945 to the American forces in Austria. Kit comes in clear acetate box labeled with a color photo of the painted figures in front and a warning sticker on the back. Both figures are inserted into seperate zip-lock bags and small parts are double secured with smaller ones. Figures are sculpted in 1/35 scale and cast very clean in medium gray resin with sharp details.. No mistakes, deformations or visible seamlines on the figures. No need for a cleanwork, just remove casting blocks, prime and paint. I liked the kit number is shown on all sprues. are Kar.98 Triple Ammo Pouchs on both sides, Model 24 Stick Grenade known as potato masher inserted under belt buckle and Breadbag on the right hip. Buttonholes and buckles of Y-strap, pouchs and breadbag are well defined. Two holes on the breadbag seem to make the assembly of Mess tin and field bottle easier and correct fit. Head; Sculpted in nice facial features, he wears a M42 Steel Helmet with vent holes and flared out edges details. Chinstrap should be scratched from a metal foil. Right arm is posed to load his rifle. Baggy look of sleeve, elastic cuff on wrist, foliage strips on shoulder and hand pushing magazine clip into the rifle are well represented. 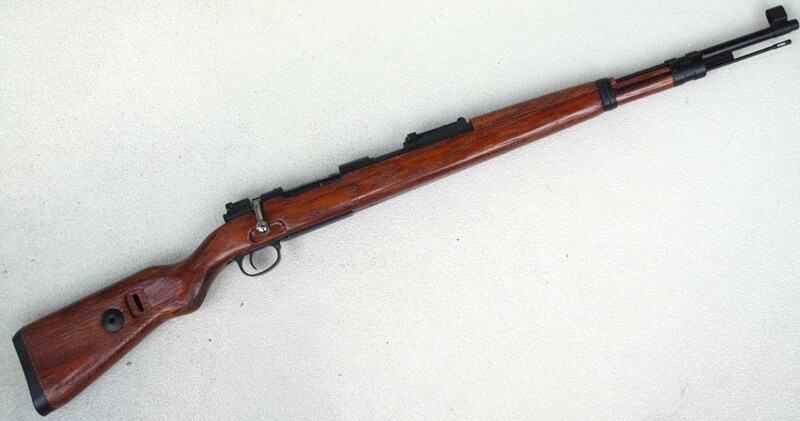 Rifle ; He carries a Mauser Kar98K and left hand is cast on the forestock. Magazine clip on the bolt is a nice touch. Body; He also wears the standard uniform of tunic, gaiters and boots but trousers are painted as M44 Pea Dot Camo Trousers on the boxart. Details of the tunic like pockets, buttons, shoulder boards and collar tabs, belt with metal buckle and Y-straps are nicely sculpted. Canvas MP40 triple ammo pouch on both sides and breadbag on right hip are cast on the figure. 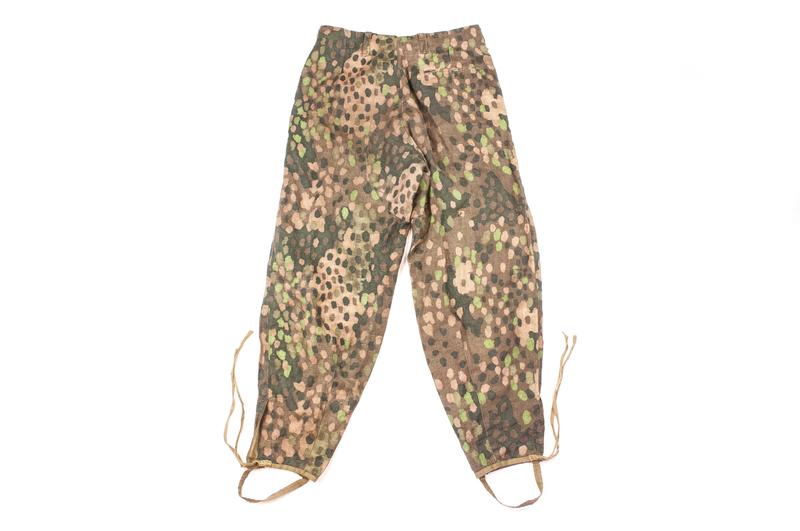 Three pockets with fold over top flaps, leather straps- one untied, loops and studs are well defined. Head; Faces of both figures show a Nordic look which fit well to Wiking Division soldiers. 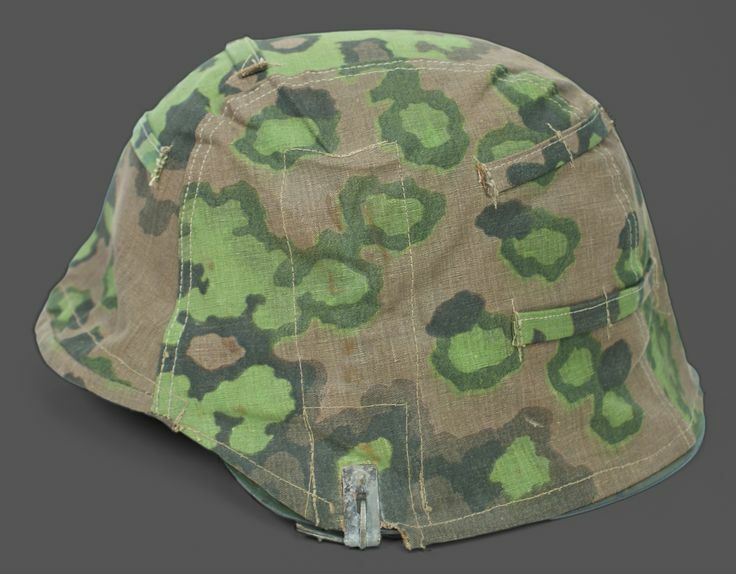 He has a helmet with camo cover - painted 2nd pattern Oakleaf Spring pattern on boxart. Panels and foliage straps are reprresented. Left foot; hobnails on the sole are visible. Right arm holds his helmet to prevent it from falling off the head. Left arm with SS sleeve eagle is posed to carry his weapon. Machine gun; He carries a MP40 submachine gun and left hand is cast on it. Details of the gun is quite well. Folding stock; It’s my bad. I damaged this piece when taking photos. But I can say this piece is improved. It is not as tiny as the one in RDM001 kit. Rado Miniatures keeps his high level on this second multi figure kit. Poses are natural, uniforms and gear are adequate for the period. Sculpting is great in nice details, casting is flawless with no mistakes, parts fit is perfect. The poses of figures fit well to each other, so they can be displayed alone or together in many different scenes. They can be used as painted in different camo patterns for different periods of war. Highs: Nice poses suitable for multiuse, great sculpt and cast, perfect fit on parts. Camo uniforms can be painted in different patterns. Verdict: Very nice action posed figures for World War II battle scenes. Looks good, though I always thought that it was a bit odd that they'd specify a unit when virtually all Waffen-SS uniforms were produced to specified standards and issued that way. You'd think that these two could just as easily represent 17th WSS or 1st WSS just as easily, dfepending on time period. weapon detail looks rather soft compared to Dragon weapons. Good poses. Frank, I'm with you on that one. I've never understood why manufacturers do that. As you mentioned the uniform was the same whatever division they belonged to. I like the poses of both figures, particularly the one reloading on the move which is a very natural and interesting pose. Moulding the stripper clip to the rifle is probably the best way to do it as I would imagine it would be difficult to line them up if it was a seperate part. As David mentioned the details on the Kar 98 aren't great. Even the older DML ones look sharper than this one. It's a shame really as it lets the kits down as everything else about them looks good. I suppose with being a new manufacturer they're just finding their feet now.